The Liberace biography is the story of a consummate performer whose private life received nearly as much attention as his music. His very name has become shorthand for flamboyance, and indeed during his life, Liberace heartily embraced the notion of wowing the crowds with over the top stage shows rather than technical music ability. Wladziu Valentino Liberace was born May 16, 1919, in Milwaukee, Wisconsin. He had a twin brother who died at birth, but Liberace was born with a caul, which his family took as a sign that he was destined to be special. Liberace's father was a musician who played with local bands and instilled an appreciation for music in his son at a young age. He also started his son on the piano very young. Father and son's love of music was the subject of much dissent in the home, especially during the Great Depression. Liberace's mother believed that money spent on records, shows and otherwise indulging musical interests was a waste. His father, however, continued to insist on piano lessons and attending concerts - especially at the Pabst Theater - for his son. Liberace's piano playing also made him the target of bullies. By high school, he developed a self effacing personality that caused the bullies to ease up and that followed him throughout his career. Liberace began performing live professionally in 1937. At first, he performed classical songs in the traditional style, but soon he began to step outside of that box. He began to mix classical songs with modern popular songs and mix up his set with doses of comedy. He also developed an elaborate stage set, complete with the candelabra that would become his staple throughout his career. In 1944, he began performing in Las Vegas. From then on, Liberace would become synonymous with Vegas. Although Liberace's performances frequently left music critics less than impressed, by 1950, he was an in demand performer at the White House and Hollywood functions as well as on stages across the country. He broke earnings records for musicians and in fact became the highest paid entertainer in the world throughout the 50s, 60s and 70s. Between 1947 and 1954, Liberace released 70 albums. Liberace's celebrity was cemented by his nationally syndicated TV show, which ran throughout the 1950s and consistently drew an audience of 30 million or more. He also guest starred on many of the popular shows of the time - something he continued to do up until the time of his death. Liberace also made himself available for celebrity endorsements and wound up selling everything from Cadillacs to furniture. He frequently worked endorsements into his stage shows in an early example of corporate sponsorship for touring musicians. In addition to his commercial endorsements, Liberace used his name to brand a large number of goods and businesses. He had a men's clothing line, cookbooks, furniture, a mall and even a hotel chain. Liberace's flamboyant style led to near constant speculation about his sexuality. A staunch conservative, Liberace maintained throughout his life that he was heterosexual. In 1956, he sued The Daily Mirror, a UK newspaper, for libel after they hinted that he might be homosexual. The judge found the paper guilty of the charge and ordered them to pay the musician $22,400. He won a similar case against U.S. gossip magazine Confidential. In public, Liberace dated women, including Mae West and Joanne Rio. However, in 1984, a 24 year old man named Scott Thorson sued Liberace for palimony, claiming that the two had been living as a couple for five years. The suit was settled for $95,000. 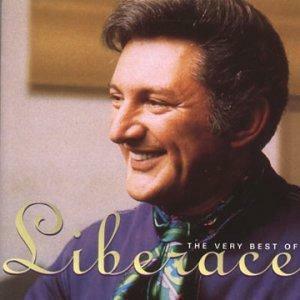 Liberace died in 1987 from complications associated with AIDS. His health had noticeably deteriorated in the two years preceding his death, but his manager issued a statement that the musician was on a watermelon diet and had lost a large amount of weight. It has never been disclosed how Liberace contracted HIV or when he had learned he had the disease.